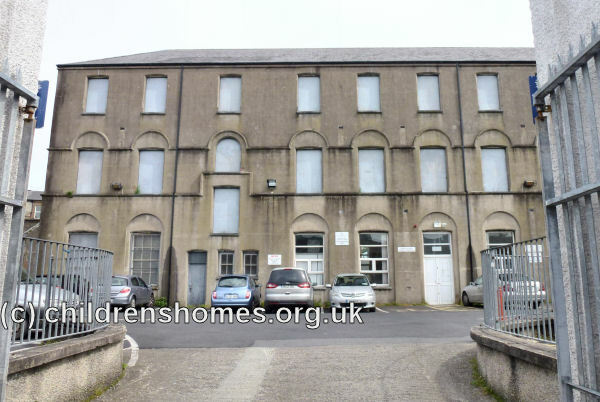 On 25 January 1859, St Joseph's Reformatory for Roman Catholic Girls was formally certified to begin operation at Clare Street, Limerick. The premises, located in part of the convent run by the Sisters of the Good Shepherd, could accommodate up to 50 girls. The inspection report for 1870 noted that a long line of new buildings for the Reformatory were constructed on the lawn in front of the convent, well separated from the Magdalen Home at the rear of the site. It was also recorded that industrial training now comprised lacework, embroidery, plainwork, washing, housework, baking and dairy work. The profits from the washing were said to be considerable. A mark system was in use, whereby the girls earned privileges through good conduct. Punishments consist in confinement in a cell, curtailing of food, but chiefly by reduction in privilege class. The average number of inmates was now 40. In 1871, Mrs Lawson, another former superintendent at the Dalbeth Reformatory, took charge of St Joseph's. She was succeeded in 1876 by Mrs Mary Ann Bartley, who had previously managed the Mew Ross Industrial School. In July 1880, five girls emigrated to Queensland. Two others who went to Sydney and New Zealand were both said to have respectably married and to write frequently to the Sisters letters full of gratitude. In 1879, following the inspector's repeated complaints about the age and suitability of much of the institution's accommodation, the Sisters purchased an adjoining site on which to erect a substantial new building at a proposed cost of between £3,000 £4,000. When completed, in 1883, the cost had risen to more than £6,000. After its completion, the size of the new building was officially decreed to be quite unsuited for the Reformatory's small number of inmates, which in that year averaged 32. 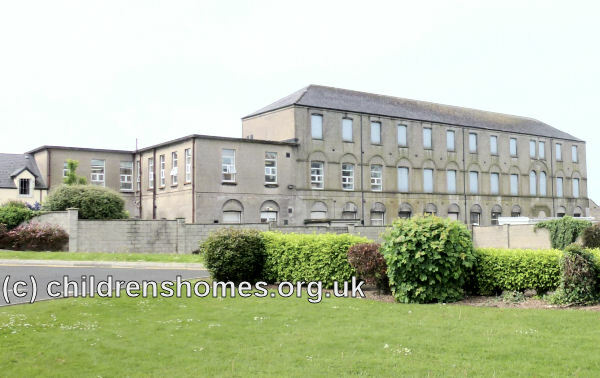 Accordingly, the Reformatory inmates were transferred to the premises of the St George's Industrial School, also on Clare Street, whose own residents, around 60 in number, then took over the new building. Both institutions continued to be managed by Mrs Bartley. Following its change of premises, the Reformatory carried on much as before. The girls were taught laundry and dairy work, and farmyard management. They baked bread and did all the housework. They cut out and made all the clothes they wore. They knitted, crocheted, embroidered and made Limerick lace. All the palliasses and mattresses in the institution were upholstered by the girls. Those who were not sufficiently trained for employment at the end of their period of detention are retained in the institution until qualified. It was planned to add cells to the premises which could be used for the reception of young offenders as an alternative to prison. In 1893, Mrs Bridget Mary Haugh took over management of the institution, a post she still held in 1912, when there 34 inmates under detention, together with 22 voluntary cases. That year's inspection noted that the girls had daily physical drill. A drill master gave a course of exercises for a term every year and a Sister continued the practice drill. The girls were also taken for long country walks, and excursions were arranged in the summer months. By 1927, St Joseph's was the sole Reformatory for Girls in Ireland. St Joseph's continued in operation until 1977, by which time it had been redesignated as a Special School. The former convent site is now occupied by the Limerick School of Art and Design.